Today, physicians have realized the significance of engaging patients in their healthcare, and outcomes. Earlier, the technologies available for aiding healthcare organizations with patient engagement were limited to non-technical informational printouts, post-care mailed surveys and telephone calls. The advent of Web-based patient portals has completely transformed patient engagement into more interactive and effective communication methods that include daily check-ins and notifications that meet new governmental regulations . 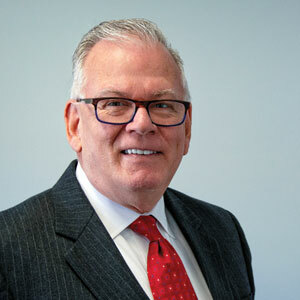 “A key strength of TCI’s Rounds® software platform is its ability to merge operational information such as patient satisfaction and Quality of Care patient feedback with the financial impact of care outcomes like cost savings from reduced ER visits, admissions and re-admissions,” explains Tim Maroney, the founder, president, and CEO of TCI Software. The Aberdeen, NC based company enables healthcare executives to optimize patient engagement—by capturing patient feedback in real-time as patients leave their clinic appointments. Rounds® includes an exclusive ROI calculatorTM symbol that converts information collected through these point of service (POS) digital surveys to the actual dollars saved by local healthcare providers as a result of reduced ER visits, admissions and re-admissions. “The software saves countless hours that were previously spent on building and processing patients surveys, tabulating results, and producing reports. It enables healthcare organizations to collect the information at the point of service,” Maroney says. Since 2002, Maroney has been at the forefront of healthcare innovations, introducing major pharmaceutical products and medical devices, and played essential roles in the launches of AbbVie’s Humira, AstraZeneca’s Nexium, and InterCure’s RESPeRATE. He illustrates that the hospitals and clinics in the U.S. are under tremendous pressure to improve patient satisfaction and simultaneously reduce cost. To tackle this issue, TCI Software introduced their flagship offering. As an addition to their offering, TCI provides its clients with computer tablets and stands that patients use to submit their responses to 10-12 questions the participating clinics choose. Patient feedback is uploaded directly into the TCI data center, and can be immediately retrieved by the clinic administrator. Besides that, Rounds® has also built a human-centric variable which is an integrated editable language translation tool enabling non-English speaking patients to participate whereas they are typically underrepresented in other types of patient engagement programs and reports Enhanced drill-down analytics enable healthcare organizations to operate multiple sites and aggregate data and access to the results reports with just one click. Users can download, export, and print the analyzed data right from their desktops empowering clinicians and hospital authorities with new charts and graphics for better understanding. In one instance, a clinic had sent out a survey and realized later on that they missed a couple of vital questions. It was not only impossible for them to reprint and share it on mail all over again but it was not feasible to repeat the entire process in such a short period. This is where TCI’s Software proved its efficacy by enabling their client with their editing feature for adding new questions. Another aspect that sets TCI Software apart from their competitors is their seamless onboarding process and easy-to-deploy ‘bundled’ solution (TCI provides both the hardware and software for one monthly subscription fee). The procedure starts when a clinic decides to implement the software into their existing system. TCI provides them with 150 sample questions that eventually enable them to select, add, or write their own 10-12 questions. The deployment process for TCI’s software takes only 72 hours to complete. Upon completion of the selection process, the data collected is loaded into the program, and tablets are shipped to their clients. Once the software is installed, the process generates a report of the data collected, which can be done quickly with one click and the information is displayed within 2-3 seconds. Additionally, following Maroney’s vision of deploying the software for the common good, TCI Software is an official technology Partner of the National Association of Free & Charitable Clinics(NAFC). “Most of our customers are members of NAFC. We conducted over 5,000 surveys of their patients during 2018, and the ROI calculator shows that participating NAFC clinics saved the U.S. healthcare system over $136 million last year alone,” elucidates Maroney. TCI recently, introduced a new Aggregated Reporting System (ARS™) that allows users of TCI’s Rounds® to compare their clinic’s performance on key patient satisfaction and quality of care measures to other clinics in their state and across the country. Moving ahead, the company has plans to continue adding new features to their existing software. The company is currently offering Rounds® 2.0, and it has already started working on Rounds® 3.0, which will provide a more extensive number of specific applications. In particular, TCI Software is looking to make it easier for customers to self-administer their programs. “We recommend our customers to rely on us to help them update their programs, etc. We have made considerable changes to the existing program over time, which will ultimately help them to independently create new surveys and generate reports,” concludes Maroney.